GHOST is a multidisciplinary month-long programme of events and exhibition at Guest Projects, Yinka Shonibare’s London residency space. GHOST will exhibit nine commissioned works of emerging artists from the UK, Morocco and France. Up and coming London based artists like Alix Marie will exhibit alongside artists such as Hicham Gardaf, who have never shown in the city before. A surrounding programme of performances, lectures, workshops and screenings invites audience and participants alike to reflect on what it means to be a guest or a host at a time when notions of otherness are being challenged and the global community faces issues around home. 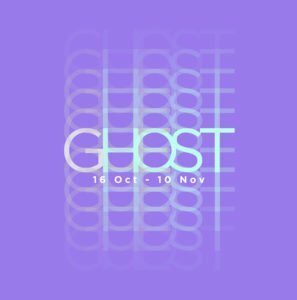 GHOST is curated by the the Marrakech based curatorial collective Mint Works, founded and run by Florence Devereux, Jean Feline and Taïs Bean. Since 2013 the collective has been working between London, Marrakech and Paris, producing experimental cultural programmes. © 2019 British Moroccan Society All Rights Reserved.